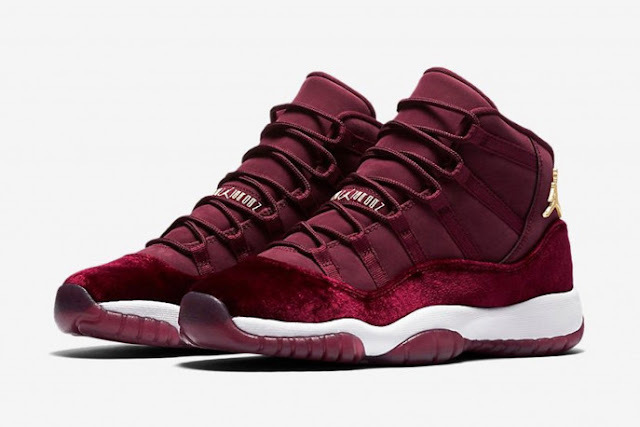 The Air Jordan 11 GS Red Velvet is part of Jordan Brand’s ‘Heiress’ collection. This Air Jordan 11 features a full Night Maroon upper that combines a premium nubuck leather and velvet for an eye-catching appearance. 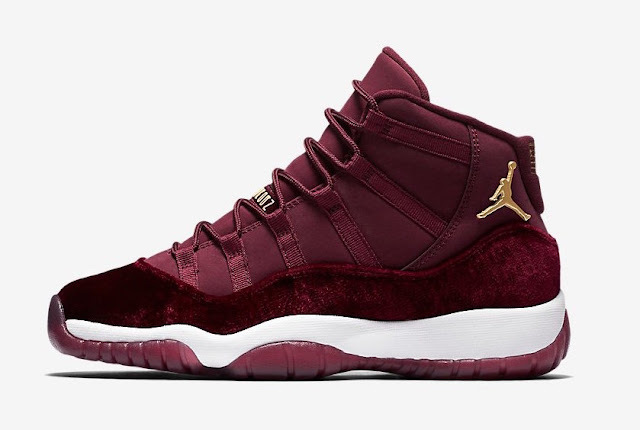 Metallic Gold branding has then been placed on the ‘23’ on the heel, the Jumpman by the ankle, and the branding on the tongue. 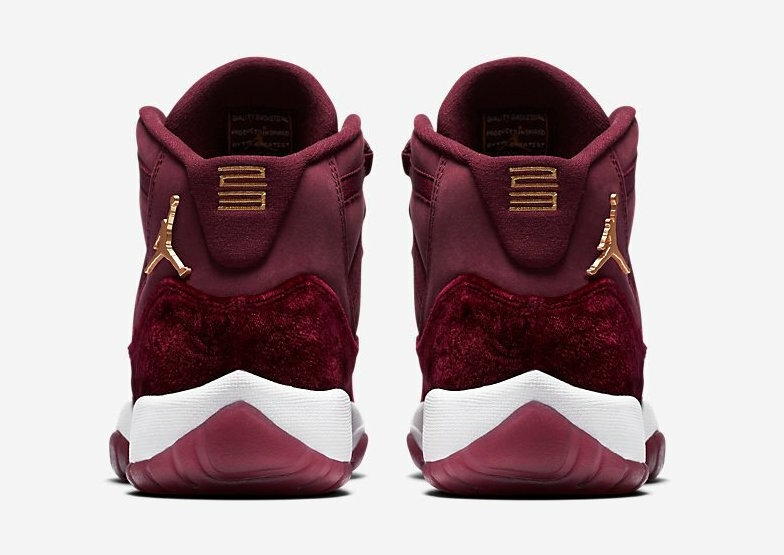 A white midsole and translucent maroon outsole wrap things up. The Nike Air Jordan 11 GS Red Velvet will drop on Saturday, 17 December 2016 at selected retailers. Copyright © Swag Craze 2012 - 2016. All rights reserved. Powered by Blogger.